Game of Thrones has famously specialized in death ever since Ned Stark beheaded a deserting Night’s Watchman in the third scene of the very first episode. But that poor guy, we hardly even knew him – for as we would soon find out, Game of Thrones’ true talent lies in killing off major characters. Viewers discovered this just eight episodes later, when that same Ned Stark – as far as anyone knew, he was the hero, the main character we’d be following for the rest of the series — was himself beheaded in front of his own daughters. A collective “Wait, what? !” was heard across the land (at least from anyone who hadn’t read the books). Over the course of Game of Thrones’ first six seasons, no statement has proven more true for the many wannabe kings of the Seven Kingdoms than Cersei’s warning to Ned: “When you play the game of thrones, you win or you die.” Multiple Baratheons, Targaryens, Tyrells and Starks have died playing. Even the Lannisters, who’ve just recently gained control of the much-sought-after Iron Throne with Cersei crowned Queen, have suffered their share of mortal misfortune, and more could be on their way soon. These past six seasons, we’ve met an awful lot of people in Westeros and beyond — and over 195 of them have died. Many weren’t even playing the game at all; most were fairly insignificant in the end. However, major characters – people we’ve come to love, to despise, to fear, to admire, but most of all, to know – have met with shocking deaths, heartbreaking deaths, gruesome deaths, satisfying deaths, mass deaths, and even one memorable toilet-based death. The show has no problem whatsoever killing a beloved character in the most horrifying fashion possible, a traumatizing lesson many viewers have never forgotten since Oberyn. If you can think of a way to kill someone, Game of Thrones has probably done it. 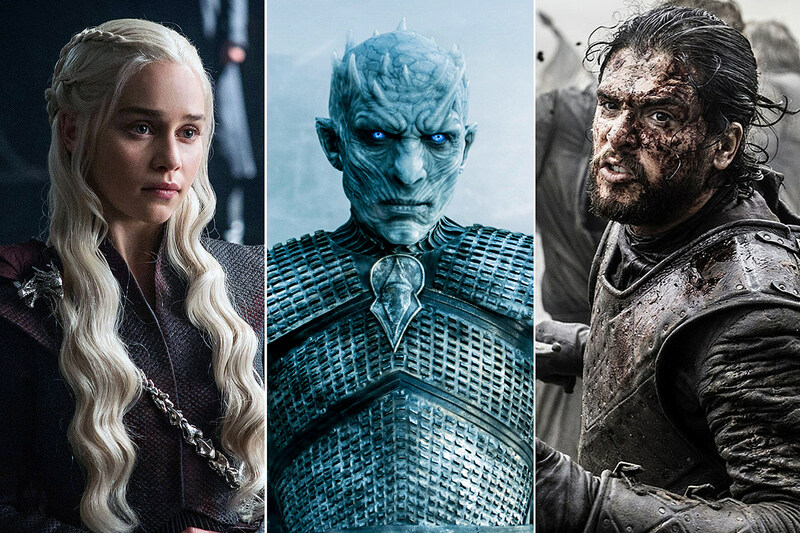 Now, with the seventh and penultimate season of Game of Thrones under way (finally), it’s time to face an important question: Who dies next? The season premiere opened with a pre-credits cold open of murderous vengeance, courtesy of Arya Stark. But unlike last season’s finale, in which she crossed Walder Frey off her kill list, this time the 50-some-odd Freys were all but anonymous to viewers. If we don’t know the victim well, the emotional response to his death can’t really land. The rest of “Dragonstone” was much like Thrones’ other season openers, learning which characters are where on the map. (There were even two scenes featuring giant maps.) The action hasn’t really gotten started yet, but it will. And by the end of Season 7, our roster of remaining characters will almost certainly shrink, much like it did during the “Winds of Winter” bloodbath that closed out last season. So, let’s take a look at who’s most likely to suffer a ghastly, appalling, blood-drenched, gasp-inducing, entire-narrative-altering demise over the next six episodes leading up to the eighth and final season. Who Won’t Die in Season 7? Who’s Most Likely to Die in Season 7? Will all these characters actually die this season? Probably not! You could throw out all 10 of them, swap in 10 others – Varys? Tormund? Podrick? Ellaria Sand? – and still get just as many right. Only the folks at HBO know for sure. And while book readers may have a deeper understanding of the history of the Seven Kingdoms, you don’t need a PhD in Westerosi folklore to know that this season won’t end well for some of the heroes on the show. Or the villains. And for those who do survive, there’s always Season 8. Source: ‘Game of Thrones’ Death Rankings: Which Characters Won’t Survive Season 7?